Originally released by P.S.F. Records in 1991, the indispensable Tokyo Flashback compilation was a gateway drug for many listeners, shining a light on some of Japan’s most deeply fried underground acts, including Keiji Haino, Ghost, White Heaven and more. It remains one of the best entry points to this fertile (and ongoing) scene – especially in Black Editions‘ labor of love double-LP reissue (the first time the comp has been available on vinyl), which looks as good as it sounds. 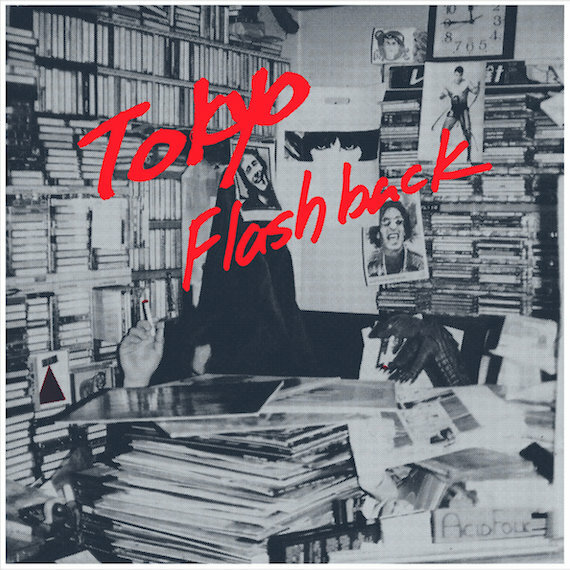 Historical importance aside, Tokyo Flashback is just a fantastic listen from side A to side D, whether it’s Marble Sheep’s massive, Hawkwind-worthy opening jam to Ghost’s acid-drenched psych folk improv. It’s been altering minds worldwide for more than a quarter century now – let it alter yours. Pingback: Black Editions :: Tokyo Flashback / High-Rise / Keiji Haino • tuneboxes.